The goal of InterMark’s Conventional Properties Division is to create value for each owner by maximizing the return on investment and through preservation of the asset. Taking a broad view of each property, while having the resources to provide management excellence, enhances our ability to attain this goal. Effective on-site property management using well-trained personnel, established maintenance procedures, a creative leasing staff, a superior management control system and diligent expense monitoring. Continuous awareness of critical issues, including management of financial risk, financial structure, the strategic business plan and exit strategy. Our focus at this level includes creatively exploring financing and investment alternatives from the owner’s perspective. Our investment in technology and our use of customized owner reporting, enhance our ability to examine alternatives and to make practical and profitable recommendations to our clients. "When a property owner is looking for someone to manage their investment, they look for stability, dependability and results. InterMark’s track record exemplifies these qualities." At InterMark, we are not only fond of saying that the bottom-line starts with the front-line, we truly believe the key to each property’s success is an emphasis on delivering the best front-line personnel in our industry. Our commitment to recruiting, training and retaining superior front-line staff ensures achievements in the crucial areas of leasing, budget control and resident satisfaction. These achievements assure the realization of the property owner’s goals. InterMark provides a dynamic training program that enables each property to operate effectively through the presence of well-prepared personnel. Our strong commitment to training allows us to provide a comprehensive learning experience through a combination of instructor-led courses and self-guided online training modules. The program focuses on the most relevant and practical property management skills currently required of front-line staff at today’s highly-competitive, affordable communities. 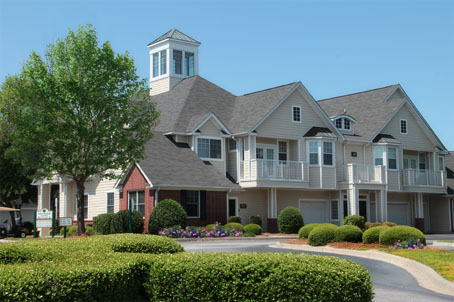 InterMark’s portfolio of both third-party assignments and owned assets allows our clients to benefit from our instinctive approach to property management from the owner’s perspective. As owners of multi-family assets, our inherent mode of operation is aligned with the rationale and motivations of our third-party clients. We are pragmatic in approach to property management and the hallmark of our customer service is the accessibility that our clients have to the principals and corporate leadership of our company. These factors allow us to problem-solve from an owner’s perspective and maintain unhindered channels of communication with our clients.